Chef Tess Bakeresse: What Are The Top 5 Money Saving Recipes Every Cook Should Know? What Are The Top 5 Money Saving Recipes Every Cook Should Know? Monday is the day I usually share a little on cooking with food storage and also money saving ideas for anyone who is just trying to make ends meet and wants to be able to take control of their family budget. Sometimes the difference in being able to have the chance to be home with kids or work full time is just a few hundred dollars a month. If I can help you save some precious funds so you can you use them places that you want, cool. A lot of people read my blog for various reasons. If you want things more natural, I'm here to help if I can with that as well. You have to do what is best for your family in the long run. So take my advice for what it is. Use it or not. I'm not checking your cupboards. I just know what has worked for us in the past. 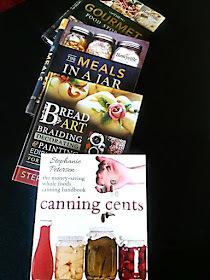 Today I want to share my top 5 Money saving areas in cooking and baking. They really do make those dollars and pennies stretch out! Here are My Top 5 Money Savers! Usually you will go from dollars to mere pennies if you learn how to make your own white sauce and gravy mixes from scratch. They usually only take a few ingredients and the money you save can be substantial! Usually from almost 2$ a can for condensed soup to about 14cents to make it from scratch. #3. Homemade "Bisquick" Baking biscuits, muffins and pancakes from one homemade mix can save a lot of cash...even over buying the pre-made store bought mix! Did you know that the average box of pre-made baking mix costs around 4$ for 2 lbs? Making it from scratch...about 1.50$ (cheaper if you buy the flour in bulk). Making it at home, you control all the ingredients. Initially it may seem to cost more to get all your supplies, but once you have all the ingredients, it's a snap! Every penny counts right? I also suggest going whole grain whenever you can. 9 grain all purpose baking mix is a great one for that! #4 Basic Beans. On average, a 15 oz can of beans is around 1$...depending on where you shop. If they are organic they will be a lot more than that. Now, imagine you took a 1$ one pound bag of dry beans and cooked them yourself? Keep in mind, on average a pound of dry beans will make about 7 cups of cooked beans! We eat a lot of beans. Buy them in bulk and save even more than what it costs to get a single pound bag of beans. This also applies to knowing how to cook other basic grains from scratch. You'll save a lot of money if you use long grain rice instead of instant rice. Par-boiled rice and brown rice are great nutritionally and will keep your stomach filled longer. #5 Home Spun Breakfast Cereal. Isn't it crazy how much they charge for cereal in the grocery store?! One thing that saved us a lot of money and still does is the ability to make homemade breakfast cereal. My favorite is granola, but we also love homemade "grape-nugget". Generally I use the granola as a boost to cereal I buy. I'll get the rolled grain in bulk, make the granola and then mix it into the flake cereals like corn flakes, bran flakes, or crispy rice. This not only adds to the cereals nutritionally, but also it satisfied hunger longer. I for one, can keep going for hours on a bowl of cereal if it has granola added to the flakes...instead of just the flakes alone. This also applies to saving money buying the whole grain and grinding it yourself if you can. When you make creamy-wheat from wheat you gain nutrition and save money! Ultimately, there are a lot of areas you can start saving money cooking with food storage. You may also want to try baking with alternative cooking tools like Solar cooking with a Solar Oven . I know it saved our utility bill a lot in the Arizona sun cooking all summer outside instead of heating the house and having to cool it back down again . I don't know what you're saving your money for, I just want to help if I can. Share your favorite money saving tips too! We are all in this together! I'd love to share them here on the blog! What a great post! Reading your posts and encouragement give me the oomph I need to get going and do these things on a regular basis. Your freezer rolls are still some of my favorite thing I have learned from you. Thanks for sharing! Thank you Callie! I love your heart! Xoxo! Okay, you officially nailed it with these top 5! How bout your meat extenders too though? And that fun post you did with lunch ideas for the kiddos, and....well, really could go on and on - you have SO MANY $$ saving recipes on here! I love them! Oh yeah...the meatless wonders and the grab-n-go meals! I think I could list the whole section on freezer meals...You're so sweet! Thank you!! I just found you site. I am finding it amazing! I have a few questions ( which may be answered in a later post) 1. Do you ever grind your own wheat flour. 2 How do you seal the jars for your food storage in a bottle. 3. If I can't afford ALL the bottle recipes what where do you suggest starting? Thank you sooo much for all of your hard work. You are amazing!! Grandma, Yes. I love to mill my own flour. It makes magnificent bread and saves a lot of money as well as giving the bread a beautiful flavor. I'm a fan! On the jar meals I do go into good detail on sealing the jars. Keep reading. I suggest starting with the Stew, Taco soup, and Chili. The baked Ziti is my favorite though. Pick one or two that your family will eat and then go from there. do you Have any Gluten Free Subsitute recipes for these, Please? Bonnie, if you go to the links, the sauces and soups all have a gluten free alternative recipe. The gluten free bread is outstanding in the gluten free section. Baking mix you can use my all purpose gluten free flour in that recipe and it will work. Granola, use certified gluten free oats or rolled quinoa and buckwheat for a gluten free alternative.